David G. Bayliss, B.A., LL.B. 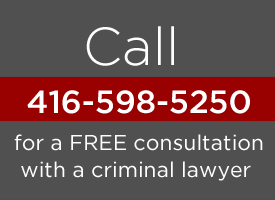 Toronto criminal defence lawyer David G. Bayliss, has achieved outstanding results for clients facing all types of criminal charges, as well as for the wrongfully convicted. Bayliss has experience in all areas of criminal law, but most of his practice focuses on defending people facing charges of murder, manslaughter, sexual assault, drug trafficking and drug possession. He also has a strong interest in The Canadian Charter of Rights and Freedoms. Several years of travel, hard work and self discovery preceded David’s entry into the formal post-secondary education system. 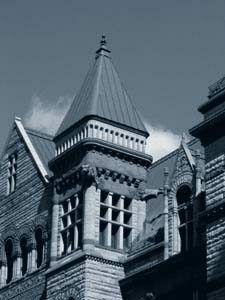 Graduating with a Bachelor of Arts (history major) from the University of Waterloo in 1979, a law degree soon followed from the University of Toronto Law School in 1982. After completing his articles with pioneering Toronto criminal defence attorneys Jack Pinkofsky and James Lockyer, David was called to the Ontario Bar in 1984. Returning to Pinkofsky Lockyer to practice criminal appellate and trial advocacy, he was soon made a partner. During David’s tenure, Pinkofskys, as it came to be known, grew into Canada’s largest criminal law partnership. In 2010, David left Pinkofskys to form his own firm, David G. Bayliss Professional Corporation. Now, David continues to do what he loves with the same goal of consistently successful results, but in a setting designed to provide his clients with a more personalized and re-assuring service during those trying times in which they find themselves accused of a crime. David has represented litigants before the Ontario Court of Appeal, regulatory bodies and the trial courts of Ontario and other provinces. Natural ability, honed by real world experience, passionate commitment and a profound belief in the vitality of a vigorous defence in the democratic system, has enabled David to consistently convince judges and juries of the justness of his clients’ cause. Now, after more than thirty years in the courts of the GTA, Brampton, Halton, Newmarket and Durham to name a few, he has conducted hundreds of jury and non-jury trials with an exceptional rate of success. David has also been able to obtain substantial civil awards for his clients whose constitutional rights have been violated by overzealous police and prosecutors. A seasoned trial attorney, former longtime director of the Association In Defence of the Wrongly Convicted (AIDWYC), former Toronto director of the Criminal Lawyers Association, panelist, demonstrator, lecturer and commentator on criminal law issues, David understands the politics and realities of the justice system. This insight, outstanding courtroom abilities and a healthy suspicion of authority, has resulted in the successful defence of many against the most serious of accusations. Over the years, David has honed keen forensic skills and a special expertise in complex scientific evidence, making him a decisive asset to his clients. Above all, everyone, rich or poor, is entitled to a caring, dynamic criminal defence. It is this fundamental guiding principle, not monetary considerations, which governs the law practice of David G. Bayliss, Toronto criminal defence lawyer. Contact David at 416.598.5250 to discuss your case. Read articles about various criminal charges and their consequences.